Due to wide-scale cooperation between China and Russia ranging from the modernization of railway infrastructure to information sharing agreements, transit shipments along the China-Russia-Europe route are growing at a record pace. Year-to-date, the annual growth rate of transit shipments has reached about 90 percent, Alexander Misharin, a senior executive from the Russian state railway operator JSC Russian Railways, told the Global Times in an exclusive interview over the weekend. During the interview, which took place around the same time that Chinese Premier Li Keqiang visited Sochi, Russia for a key meeting held by the Shanghai Cooperation Organization, Misharin pointed out that railway sector cooperation between China and its largest neighbor to the north is multifold. Not only has solid progress been made in the Moscow-Kazan High-speed railway (HSR) project, which has long been under the media's spotlight, it has also been made in many other sectors, including the further facilitation of freight trains that run between China and Europe via Russia. "Cooperation between Russia and China in railway transportation has a long-standing, successful history and, in particular, has been developing [even more] lately," Misharin said. This year, over 3,000 freight trains have traveled along 57 lines from China to European cities, topping the combined numbers reached in the 2011-2016 period and pushing the aggregate number to more than 6,000, media reports said on November 18, with a large chunk of these passing through Russia. Global Times reporter Chu Daye (GT) spoke to Alexander Misharin (Misharin), first deputy general director of JSC Russian Railways, to find out more. GT: What are the most significant achievements of Russian-Chinese cooperation in the railway sector in 2017? Misharin: The large scope of our interaction makes it possible to create high-speed railway projects. Considerable attention is paid to logistics. In April 2017, an agreement was signed between the railways of China, Belarus, Germany, Kazakhstan, Mongolia, Poland and Russia on deepening cooperation regarding the organization of container trains between China and Europe. Work on the modernization of railway border crossings between Russia and China is continuing; measures are being implemented to increase their throughput. As a result, conditions for an increase in the volume of cargo transportation with China and on Eurasian routes through Russia are being created. Thus, transit shipments on the China-Russia-Europe route are growing at a record pace. This year, their growth was about 90 percent. There are also new cargo-delivery routes, including through ports of the Russian Far East and northeastern China. In addition, work with Chinese railways is being developed and implemented on an electronic data-interchange system to improve the level of informatization of international traffic and to inform customs authorities about cargoes being shipped across the border from China. GT: What is the current status of the Moscow-Kazan HSR project? 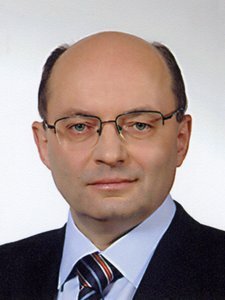 Misharin: The Moscow-Kazan HSR is the first high-speed rail project in Russia and will hold important integration significance for implementing the initiatives of leaders in Russia and China on combining the developmental processes of the Eurasian Economic Union and the construction of the Silk Road Economic Belt. The design and survey work on the Moscow-Kazan HSR project is being completed by a Russian-Chinese consortium of designers, including the China Railway Eryuan Engineering Group. A public technological and price audit of engineering surveys of the Moscow-Nizhny Novgorod section has already been conducted. Within the framework of the Russian-Chinese working group of enterprises, issues of localizing the production of high-speed rolling stock and financing the project, including the involvement of the Silk Road Investment Fund, the Development Bank of China, the New Development Bank and other international investors, are being discussed. GT: What kind of cooperation do we have beyond the Moscow-Kazan HSR project? Misharin: We consider the Moscow-Kazan HSR project to be the first stage of a large-scale China-Russia-Europe high-speed transport corridor (HSR Eurasia), which will link continental transport systems and shorten the delivery time of goods from China to European countries to 3 to 5 days. We consider the Eurasia project to be one of the most promising areas of cooperation. At present, as part of the Russian-Chinese working group of enterprises for cooperation in HSR (involving JSC Russian Railways and China Railways), a special subgroup has been set up to prepare a calculation of the economic efficiency of the project for high-speed cargo transportation by rail. However, to successfully implement the project, a number of political and technical factors are required. HSR Eurasia will pass through six countries (Russia, China, Belarus, Kazakhstan, Poland and Germany); therefore, it is necessary to reach agreements at the governmental level of these states in terms of a common vision for its prospects, unified planning and the technological combination of railway networks.